Use this cherry liqueur for three beautiful seasonal drinks. 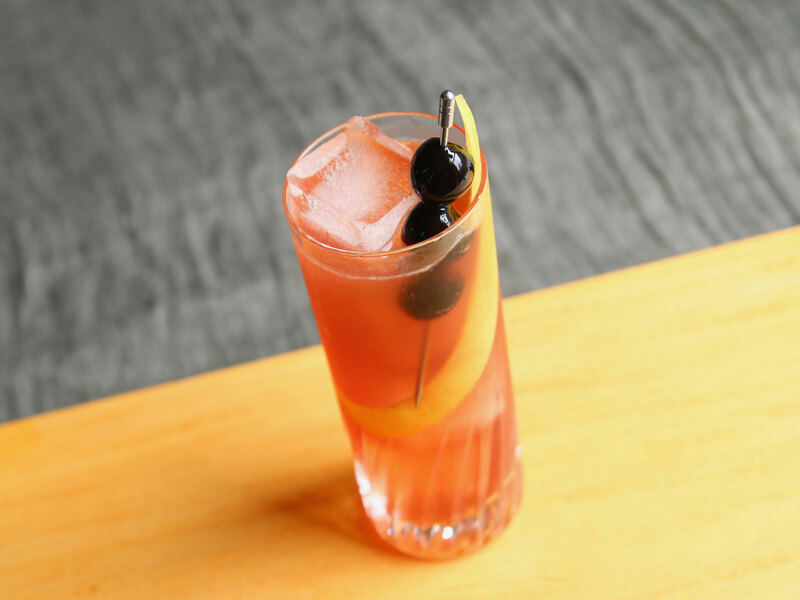 Right now, it’s sakura season in Japan, the height of the Cherry Blossom Festival in D.C. — and, whether or not your own landscape is awash in a sea of pink, it’s the perfect season for bitter cherry cocktails. We’ve never tasted anything quite like Cerasum, a new cherry liqueur made by Don Ciccio & Figli in Washington, D.C. Even if you’ve tried other cherry liqueurs, here’s something else altogether — for one, it’s made with cherry blossoms as well as American cherries. What’s more, there’s a pronounced bitter structure to it, similar in bitterness to Campari, but with a fruity-sweet layer atop. The cherry flavor is loud and clear, but nicely cut and complemented by herbal botanicals. It’s an unusual elixir to sip straight — delicious, but the fruity-bitter contrast can be quite intense. We prefer it in cocktails, where we can play up the bitter flavors or the sweet, as we do in these three drinks. 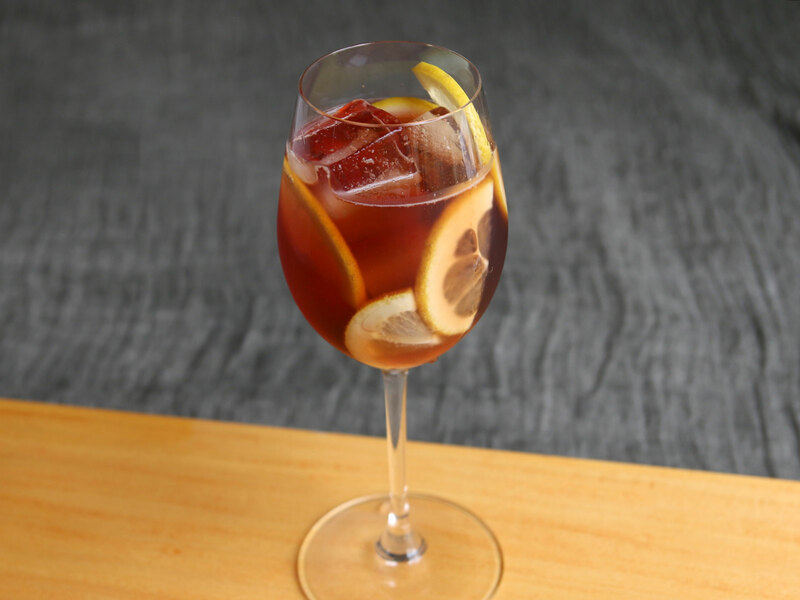 It’s said that the sbagliato was invented when an Italian bartender intended to make a Negroni, but reached for the Prosecco instead of the gin. Whether or not this story has any merit, the combination of sweet vermouth, a bitter amaro, and sparkling wine is a fabulous one — and the cherry-bitter flavor of Cerasum works perfectly. Instructions: In a large wine glass with ice, combine an ounce of Cerasum, an ounce of sweet vermouth, and three ounces of sparkling wine. Garnish with a few lemon half-moons. Nowhere embraces the cherry blossom quite like the nation of Japan, so let’s honor sakura season with a cocktail that combines Cerasum and superb Japanese whiskey, plus a bit of dry vermouth to balance it out. 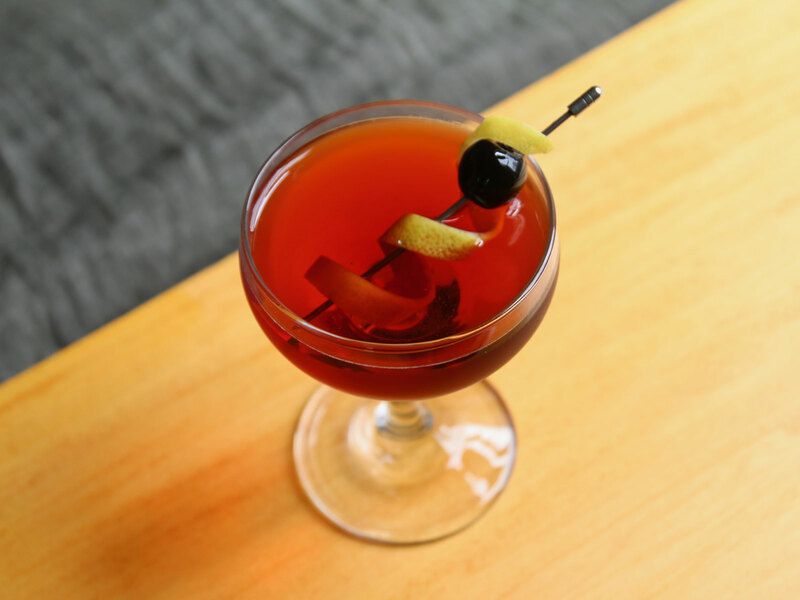 Manhattan lovers, this one’s for you. Instructions: In a mixing glass with ice, combine an ounce of Cerasum, an ounce and a half of Japanese whisky (we’re using Nikka Coffey Grain), and half an ounce of dry vermouth. Add a dash of Angostura bitters. Stir until very well-chilled, then strain into a chilled cocktail glass. Garnish with a cherry and a lemon peel. Cherry and lemon are a natural pairing, and this drink goes down almost like a cherry lemonade — but with an awful lot of complexity. If Cerasum’s bitterness seems a bit intense for you, this cocktail maintains all its flavor while toning down the bitter elements plenty. Bottoms up. Instructions: In a cocktail shaker with ice, combine an ounce of Cerasum, an ounce of vodka, half an ounce of lemon juice, and half an ounce of simple syrup. Add a dash of orange bitters. Shake until very well-chilled, then strain into a tall glass with fresh ice. Top with an ounce of club soda and stir briefly. Garnish with a few cherries and a lemon peel.